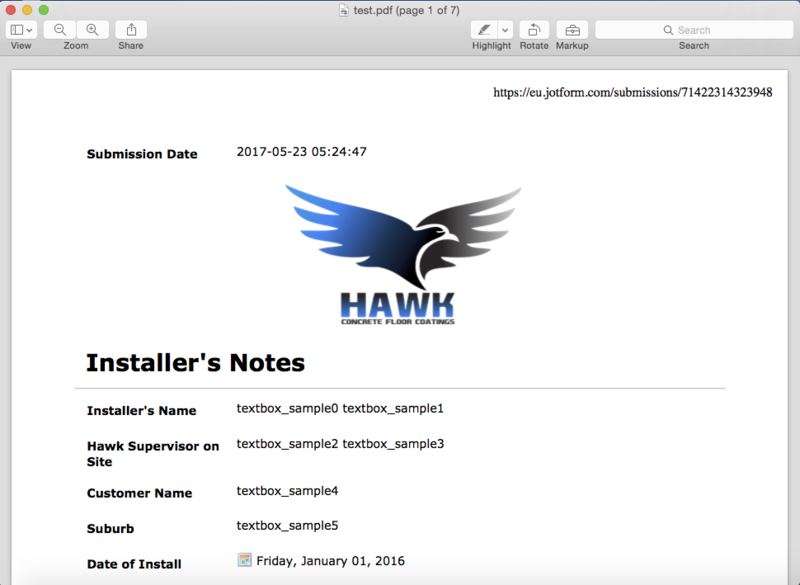 I have just edited one of my form submissions (the most recent one in 'Installer's Notes') so that it now has a logo, and the new fields "Hawk Supervisor on site" and "Suburb", but when I download the PDF, it downloads the old version without that information. Can you please help me to get the updated version? I need to edit all of my forms in this way. Once done, try to customize again your PDF to your desire. Thank you for that, it’s now showing up. As you can see below I do not have ID or IP checked, yet they still appear on the PDF. 2. Scroll down and see the comment area. 4. After uploading it, click Post Answer button. 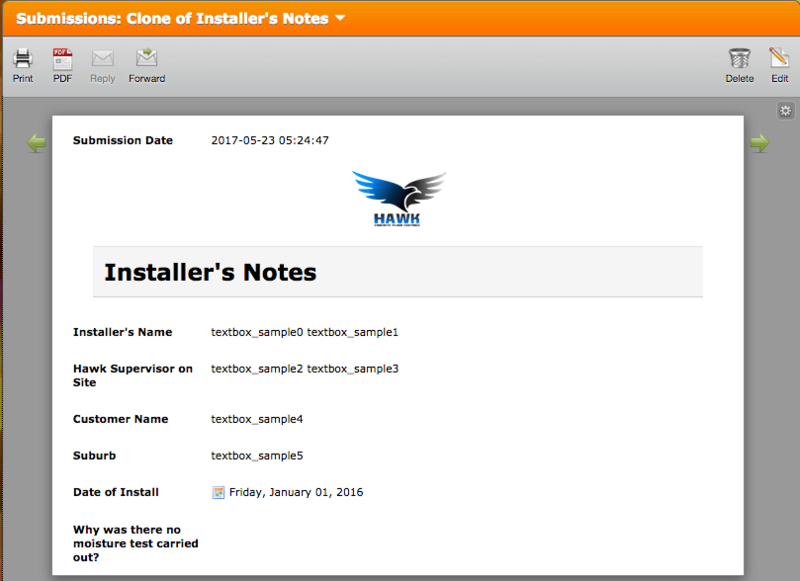 Regarding your issue: I have cloned your form named "Installer's Notes" on my side in order to test submission PDF. You will see the IP and Submissions ID on the PDF design page in order to see them in the case of editing. However, this is not mean you will see them on the submissions page. I feel that perhaps you did not read my email as you gave me instructions to do exactly what I had said I had already done. My issue was that even though I have already clicked settings and unchecked the IP and ID (like you've instructed above), they still appear on my form when I press 'Download PDF'. However, having said that, I have deleted them from the PDF customiser and they no longer show up on the PDF. The 'add image' button on the PDF customiser doesn't work. It only gives an option to add a URL rather than uploading an image. Even when I copy our Sync link to the URL box, it just doesn't work, no picture ever appears, just a black square. 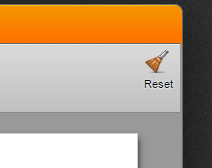 I have tried several times and the only way the logo ever appears is when I add an image in the actual form builder. HOWEVER, when I add an image in the form builder, AND even when I rescale the image in the form builder, the image is gigantic in the downloaded PDF. I will refer to your screenshots above, because they are practically identical to the ones I tried to send earlier. 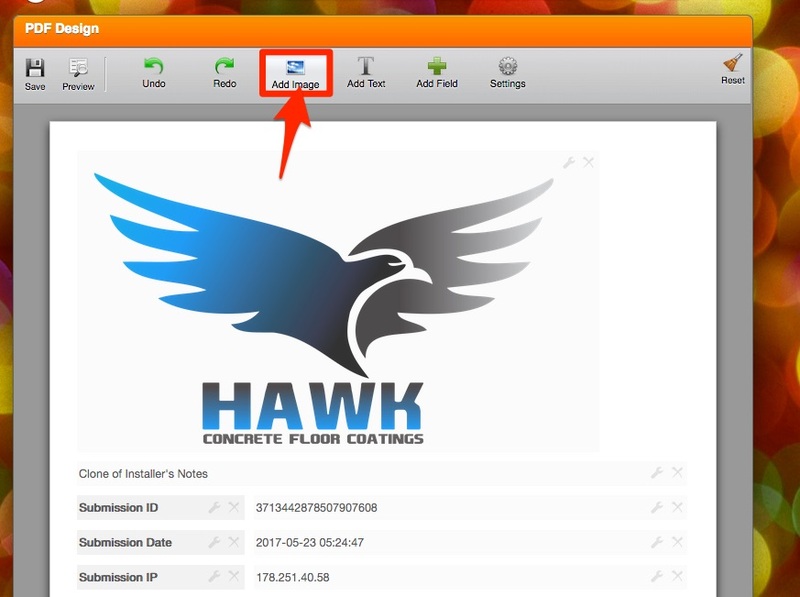 Your first screenshot is what the logo should look like - it has been resized in the form builder to a manageable size. Yet when I download the PDF, it looks like your second screenshot - the logo is huge and not resized. 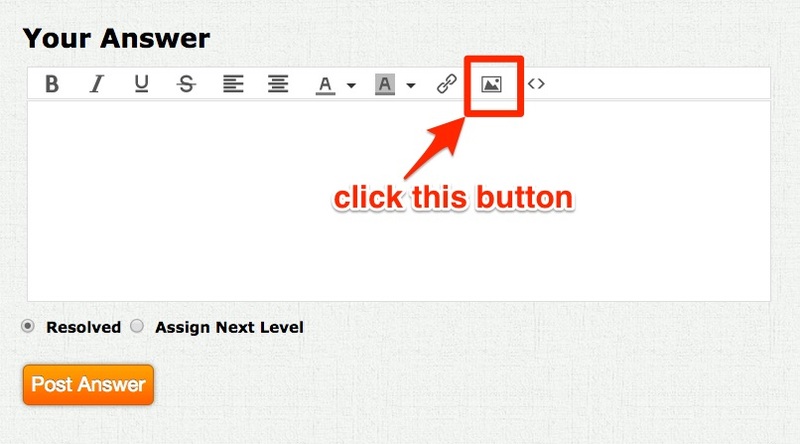 Why does the downloaded PDF pay no attention to the resizing options in the form builder? I have been trying this for a very long time in several different ways and it's really starting to drive me crazy that the system doesn't follow its own rules. 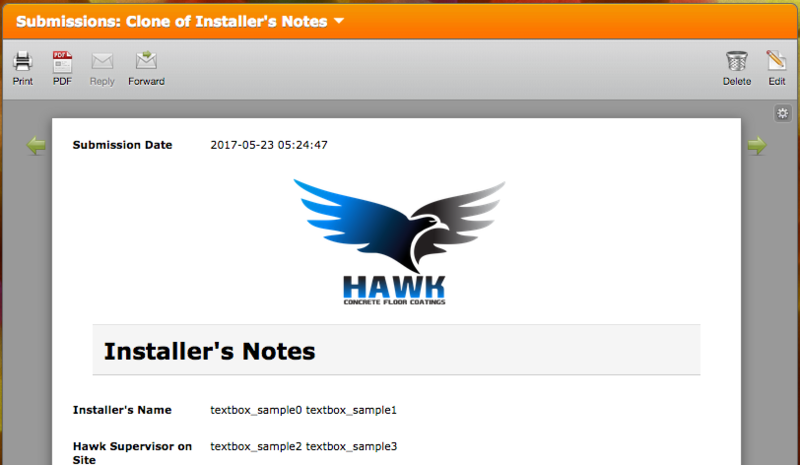 Please explain how to add a normal sized logo to the top of the downloaded PDF that actually works. I have checked your JotForm and see that there is no logo present on the form. 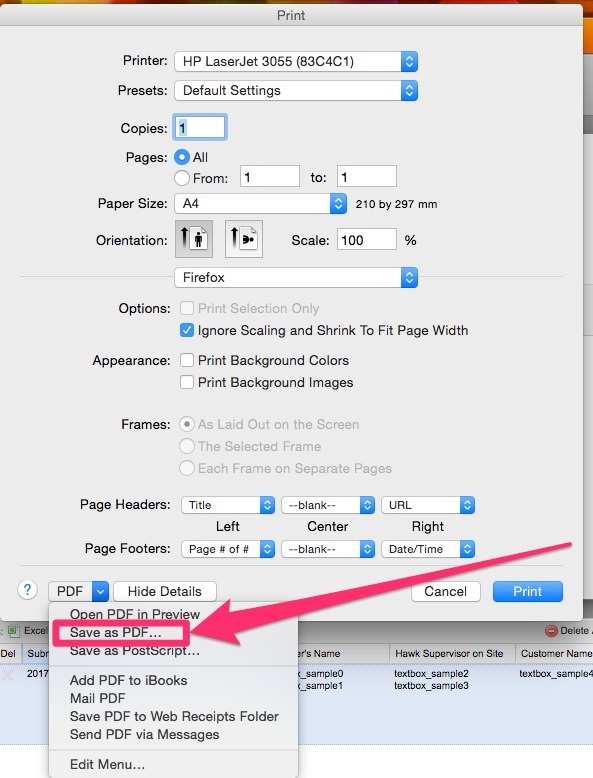 If the image used from the URL is displaying in big size, you may resize in the PDF customization screen. If the image is not displaying correctly, it should be an issue with the image URL being used. Please note that the image URL should be having the direct access to the image. Please provide us with the image URL to check it further. Yes I removed the logo because I need to use this document for work purposes every day and cannot use it with a huge logo taking up half the page. When entering an image in the FORM BUILDER - not the customise PDF, and rescale the picture in the form builder, the picture rescaling does not work when I download the PDF (see previous screenshoots of the huge logo). Why is there an option to rescale an image in the form builder if the rescaling does nothing on the downloaded form? I don't want to use a URL for a picture, I want to upload an image from my computer to my form. How can I upload an image from my computer to the document and have it remain at a reasonable size on the downloaded PDF? Regarding your first issue: "My issue was that even though I have already clicked settings and unchecked the IP and ID (like you've instructed above), they still appear on my form when I press 'Download PDF'. However, having said that, I have deleted them from the PDF customiser and they no longer show up on the PDF. " All in all, I couldn't reproduce the issues on my side as you have mentioned. I have cleared your form caches in order to avoid any possible issue. Could you please upload the image again to the form and check your submissions PDF? I think there’s still a misunderstanding here. 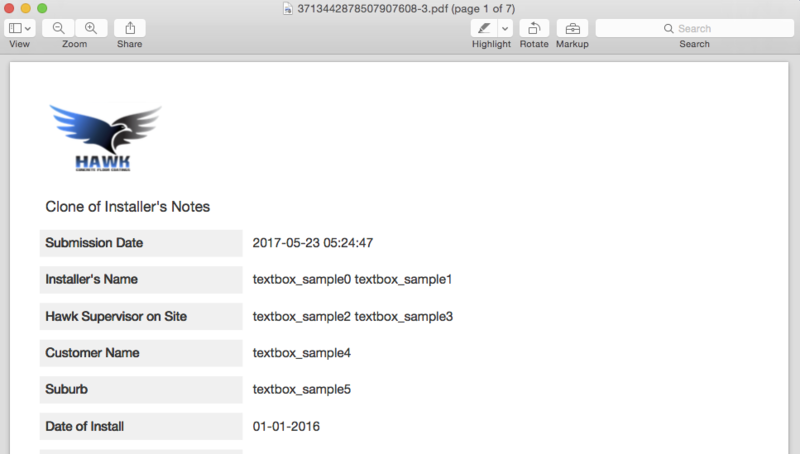 I’m not concerned about how the form looks in the submissions page; I am concerned with how they look when I download them as PDFs. 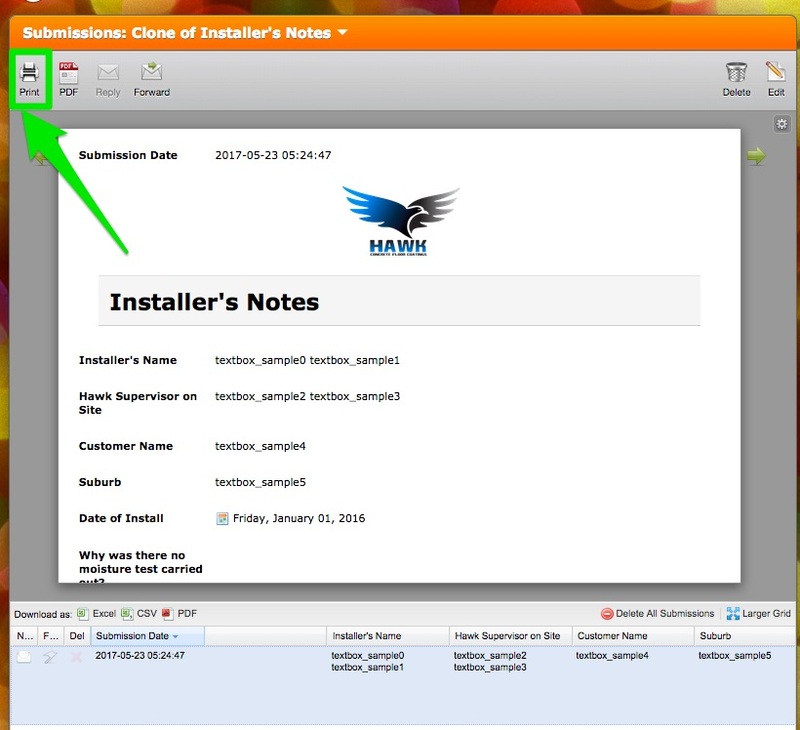 The way they look in the submissions window is correct, that’s exactly how I want it to look, the problem is that it doesn’t look like that when I download it as a PDF. When I downloaded a PDF, the ID and IP kept appearing, so I deleted them in the PDF customiser and now that’s fixed. But when I download the PDF, the logo is still massive – takes up half the page – and I can’t seem to get it to look the way it looks on the submissions page. I just tried downloading your last submission's PDF and I could not find anymore the form ID and IP in it. Though I do not see the image on top. Can you confirm that the problem is now resolved? If not, can you tell us how you are downloading and opening the PDF file so we can find or track where this PDF is coming from? I have currently removed the image because I need to use the form for business and cannot use it with a huge logo on it. I would still like to add a logo onto it. As I have mentioned in my last two communications, the ID and IP are no longer a problem, the only problem is the logo. Again, as I have explained twice already, and now a third time, I am uploading a picture through the form builder. 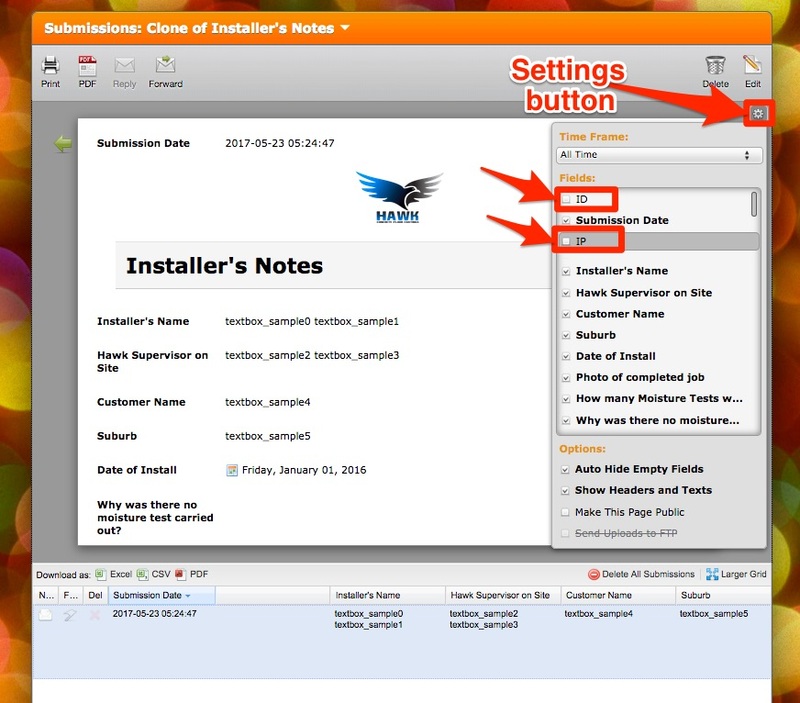 I am using the form builder and not the PDF customiser because I want to upload an image, not attach URL. So I am uploading an image through the form builder and then rescaling the image to a decent size at the top of the page. When I go into the ‘view submissions’ page, the logo is still small and looks good. As soon as I press PDF > Download PDF, the PDF that opens up has a logo on it that takes up half the page. Also, if I go to PDF > Customise PDF, it also shows that the logo is huge and takes up half the page. In short, I just want to upload our company logo (not with a URL but an upload) onto the top of the page. I understood your concern. 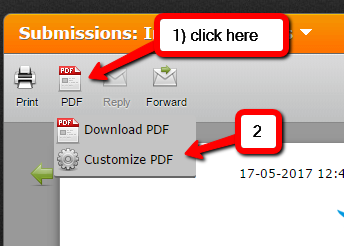 I have found a solution in order to save the submission PDF as it appears on the submission page. "When I go into the ‘view submissions’ page, the logo is still small and looks good." Because the logo comes from the form builder. It has the same settings as in the form builder.